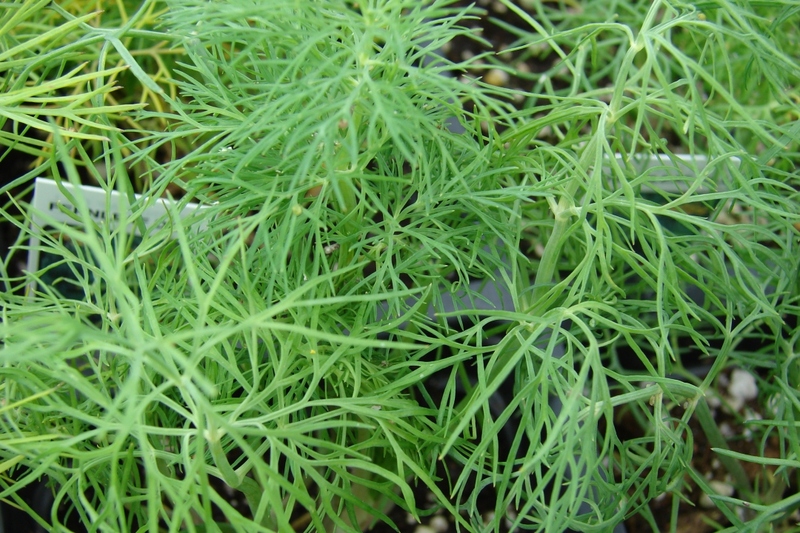 Dill (Anethum graveolens): growing, planting, caring. Oh, dill, with your subtle anise-like flavour: what a piece of cake you are to grow! Growing dill is relatively straight-forward. All it needs is: a sunny but not scorching location, soil that is always moist and fertile, and to be planted from May to August. As for cooking recipes, we'll leave that to you! Dill is a smooth-stemmed, annual plant that grows from 80 to 150 cm in height. The blue-green leaves are thin, spindly and highly jagged. Flowering produces terminal umbels with yellow-greenish, scented flowers. Each flower has five yellow petals and five stamens. The seeds are small, brown ovals, flattened on the sides, with a tendency to split in two when dried. 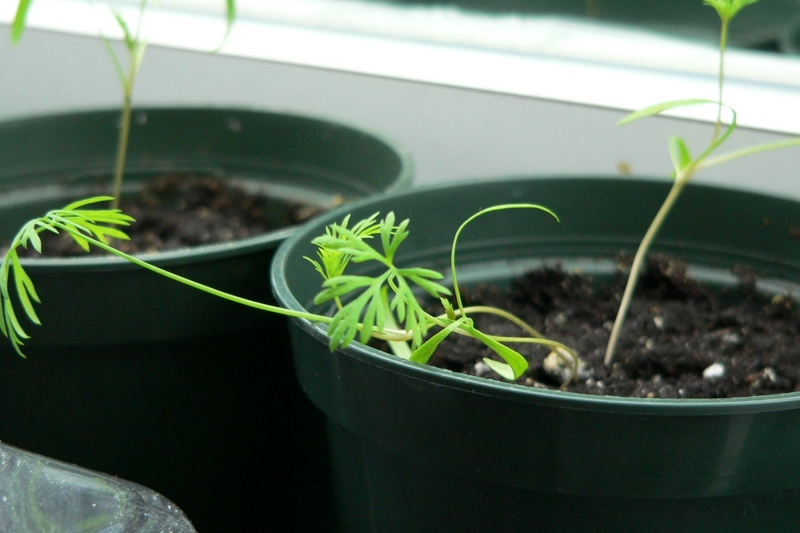 Dill seedlings are a good way to get your hands on a quality plant. You can buy your seeds from a store or collect them each year after your dill has flowered, in order to sow them the following season. Sow them directly in place, starting in the beginning of April for southern regions and towards the end of the month in other regions. Spread out this seeding throughout the summer to prolong your harvest. 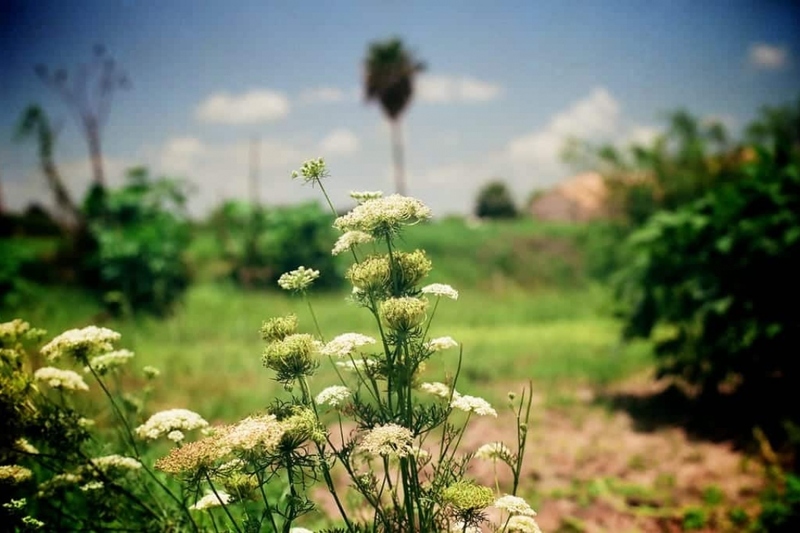 Dill likes sun, shelter from the wind and light, well-drained soils! If your earth is too compact, don't hesitate to lighten it up with some sand or some potting soil. 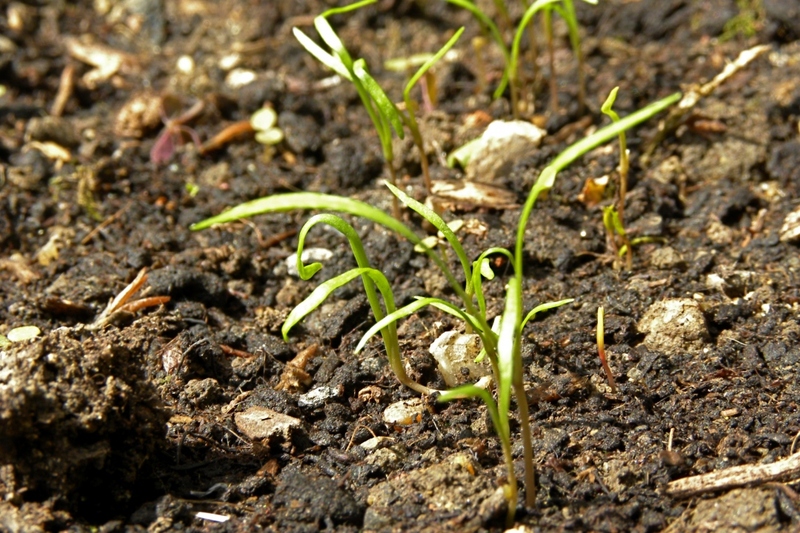 Keep the soil moist during the first few weeks after sowing. Place your dill so that it won't create too much shade for any other aromatic plants you're cultivating — it will grow to more than a meter! Once your dill plants each have 2 to 3 leaves, thin them in a manner that only keeps the most vigorous seedlings, taking care to leave them lots of space to develop — 20 centimeters per plant. Choose a location with full sun and shelter from winds. The soil must be well drained in order to prevent water from stagnating: the ideal is a substrate of potting soil with an addition of 10% sand. Whether you're sowing under cover or buying an pre-grown plant, you can plant your dill in open soil at the beginning of May and leave it outdoors all summer. Dill is adapted to cultivation in a pot or in a planter, but if you choose this route make sure you get something good quality and stable — dill can grow up to a full meter! If you wish to keep it in a pot, transplant it in a larger container immediately after purchasing — a simple earthenware pot on a saucer of water will do the job! If you don't want your dill to produce seeds — which you can eat or plant again the following season! — cut back the the ends of the stalks on a regular basis. Remove the flowers as they appear, before they tire our your dill! Dill doesn't need a lot of water — don't water unless the soil or substrate is dry. Don't wait too long however — dryness will cause the dill to go to seed. You may pick your dill leaves all spring and summer long, ideally just before the plant flowers. Give preference to the primary leaves by cutting the entire stem to encourage new shoots to sprout. Also take the time to remove all the buds, whose growth is tiring out your dill to the detriment of the leaves!